The CNA salary in Nebraska depends on a few factors including the city you work in and type of medical facility you are employed with. Workers can expect to find increasing job opportunities in the state in a variety of health care settings such as nursing homes, hospitals, assisted living centers and in the homes of patients. As a CNA you will be working under the supervision of a registered nurse to ensure the day-to-day quality of life of patients in health care facilities. On the job workers will have daily contact with patients, and will be a vital source of information about that patient’s condition. Your observations will help doctors come up with a treatment plan that will help ensure the patient’s comfort and health. Nursing assistants provide general care for their patients which includes monitoring vital signs, helping with nutrition and moving patients when necessary. Workers generally conduct their job under the supervision of a Registered nurse and assist others on the health care team with a variety of duties. A CNA can find work in a variety of health care settings. CNA’s are a vital part of the workforce in hospitals and clinics. They also care for the elderly in nursing homes, assisted living facilities and adult day care centers. They can even find themselves hired to provide care to patients in personal homes. The health care sector is one of the best employers in the country. There is a constant demand for skilled healthcare workers and, as a CNA you will find employment opportunities readily available to you. Not only will you earn a good salary, but you will have the satisfaction of knowing that you are helping people. The job can be rewarding for those who enjoy helping others and want to gain experience working the medical profession. Many CNA’s go on to become nurses or work for themselves as a self employed business. In the United States, a CNAs average salary is around $12.02 an hour. This comes to around $23,726 a year. For a CNA in Nebraska, according to Indeed.com, the average salary is $12.48 per hour and they have a yearly income of around $23,145. The range of pay in Nebraska for nursing assistant can be quite large with hourly earnings ranging from around $9 to $14 an hour. Many of the smaller towns in Nebraska pay a much reduced rate in comparison to larger cities such as Omaha, which is one of the highest paying. The more experience you have as a CNA, the higher your pay grade. Experienced CNAs in Nebraska are also provided more benefits then new CNAs. However, after a year or so working in the same health care facility, most CNAs find that their employers are quite willing to increase their salary. Large hospitals are some of the best employers in this state but they mostly try to recruit experienced CNAs. 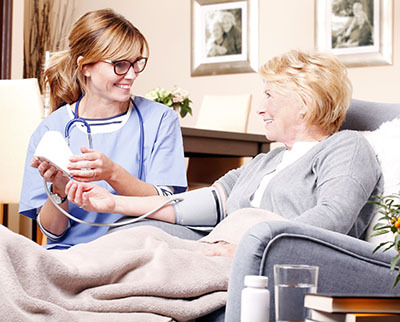 If you are a new CNA in Nebraska, your best bet is to look for employment in a nursing home. Nursing homes are more likely to give a break to an inexperienced CNA and are a good place to get experience. Once you have been there at least a year, it’s also quite likely that they will agree to a higher pay scale to keep you and your “experience” in their facility. They might even reward you with benefits. In Nebraska, CNAs are under the Department of Health and Human Services. CNAs need be at least 16 years of age and must speak English, unless employed in facilities where another language is commonly spoken; in this case, they must speak the dominant language. To be eligible to work as a nursing assistant one must be certified which requires a high school diploma or GED. CNA classes in Nebraska are offered at some health care facilities, colleges and trades schools. Applicants must complete an approved nursing assistant course with at least 75 hours of training. Curriculum includes basic medical skills training in a clinical setting as well as preparation for the state examination. Nebraska also requires prospective CNA’s to take a one-hour course on how to report abuse and neglect. After training, you will need to pass the written and clinical evaluations. If you took your program at a community college, the college will arrange the test. Otherwise, you will need to take the test at either the Nebraska Health Care Learning Centre or the Providence Health Care institute. If you pass the test, you will be added to the registry of state CNAs and be able to apply for work. If you have trained or have been working as a CNA out-of-state, you can apply to be put on the registry. You just need to document that you have had 75 training hours, fill out an interstate endorsement form, and take a one- hour class in recognizing and reporting abuse utilizing the Nebraska curriculum.